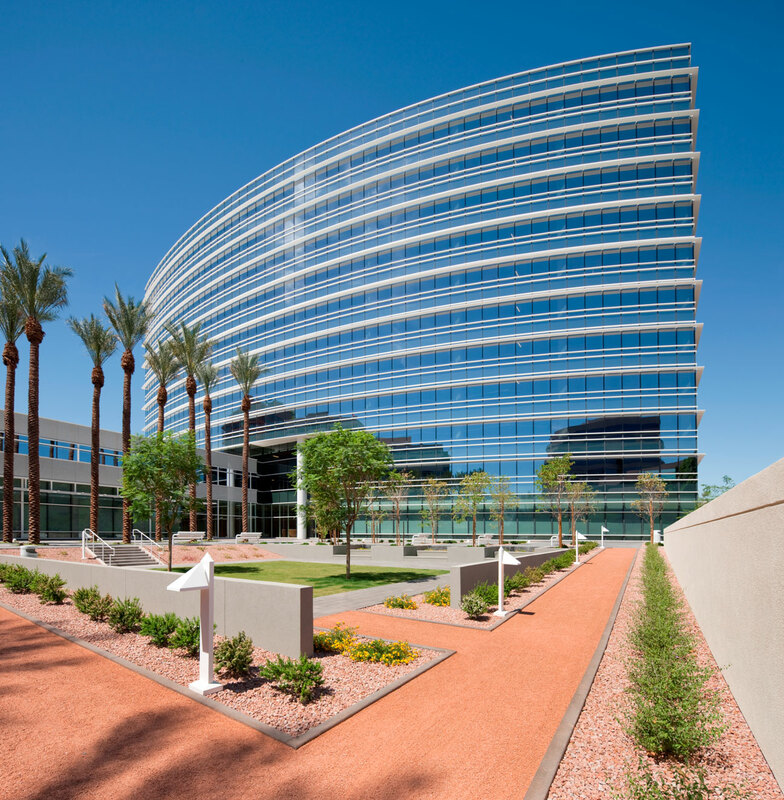 24th At Camelback II is an 11-story, 306,877-square-foot Class A office building located on an 8.5-acre site at the southwest corner of 24th Street and Camelback Road, one of the most dynamic corners in Phoenix's Biltmore area. Adjacent is 24th At Camelback I, a 302,209-square-foot Class A office building. A landscaped outdoor pedestrian plaza with seating connect the two buildings, offering a relaxing respite. Pickard Chilton Architects of New Haven designed both office buildings.